There is a blue and white parakeet that hangs out in our yard sometimes. I've tried in vain to take his photo, but he flies away too fast. I'm guessing he escaped from a cage, eschewing the domesticated life as a pet. The parakeet hangs out with the little brown birds that nest in our hedges. They eat bugs and seeds from our yard. 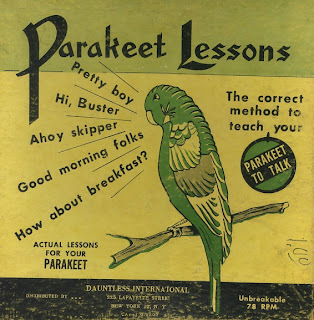 I feel bad for the parakeet and worry about him. I hope he can migrate with the brown birds when it's time. I hope he finds enough food to stay healthy. I hope that the little brown birds make him feel welcome even though he's different. As an adult who doesn't work full-time right now, and who has (so far) chosen not to have children, I feel left out of various peer social groups. It's hard to make friends when you're in your 30s and don't have regular work or kids to facilitate socializing with other people. I feel like an overeager, overbearing dork as the person who instigates social outings most of the time, and I feel like a pariah when I get stood-up for these social outings. Most other people my age are consumed with work and/or family right now. I feel like I got stuck in my self-obsessed 20s, while my peers moved on to bigger and (in most cases) more important ventures. I'm projecting my odd-bird-out feeling onto the escaped parakeet that hangs out in my yard with the little brown birds. 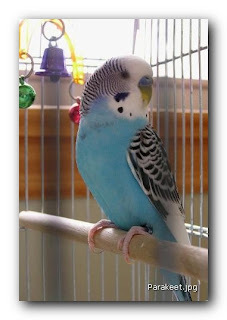 The parakeet makes me sad, when it might actually be a happy bird thankful to be out of the cage. It's time for me to get a steady job and/or a new volunteer project when Chad and I get back from vacation. I've enjoyed having time to do house projects since I left my last steady job in January. I've stayed somewhat occupied with temporary work, freelance jobs and a few acting gigs. I needed time to heal after losing my dad and my grandpa this year. Grieving has been a solitary activity. I also needed time to rest, recover and get cozy after the great house fix-up of 2006. I'm getting restless now and starting to feel lonely, acknowledging the need for daily interaction. Soon it will be time to get out there and try to find my group of little brown birds.